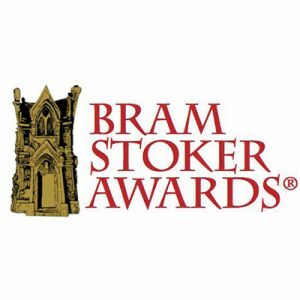 Following official Bram Stoker Awards® etiquette, MoonDream Press poet Michael H. Hanson is offering the Horror Writers Association (HWA) ‘Official Voting Membership’ a FREE electronic copy of his dark poetry collection, “WHEN THE NIGHT OWL SCREAMS” which has just been listed in the Preliminary Ballot of the Bram Stoker Awards, in the category of ‘Superior Achievement in a Poetry Collection’. 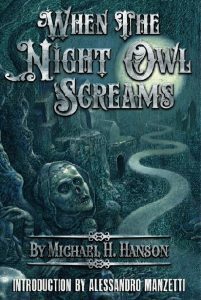 Just Facebook (FB) Message Michael, or e-mail him (shadaa1@mac.com), and he can send you a URL Link to 3 different FREE e-versions (Mobi, Epub, and/or PDF) of his book. Please remember, this is ONLY for Active Voting Members of the Horror Writers Association. 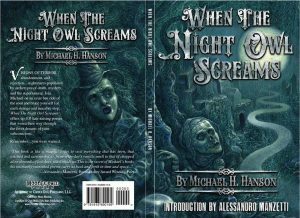 This scary tome offers up Six delightfully creepy black and white illustrations by artist Chris Mars (whose artwork also graces the cover) that kick off each of this poetry anthology’s six chapters, as well as 105 chilling poems that worm their way through the fever dreams staining your subconscious. Remember… you were warned.